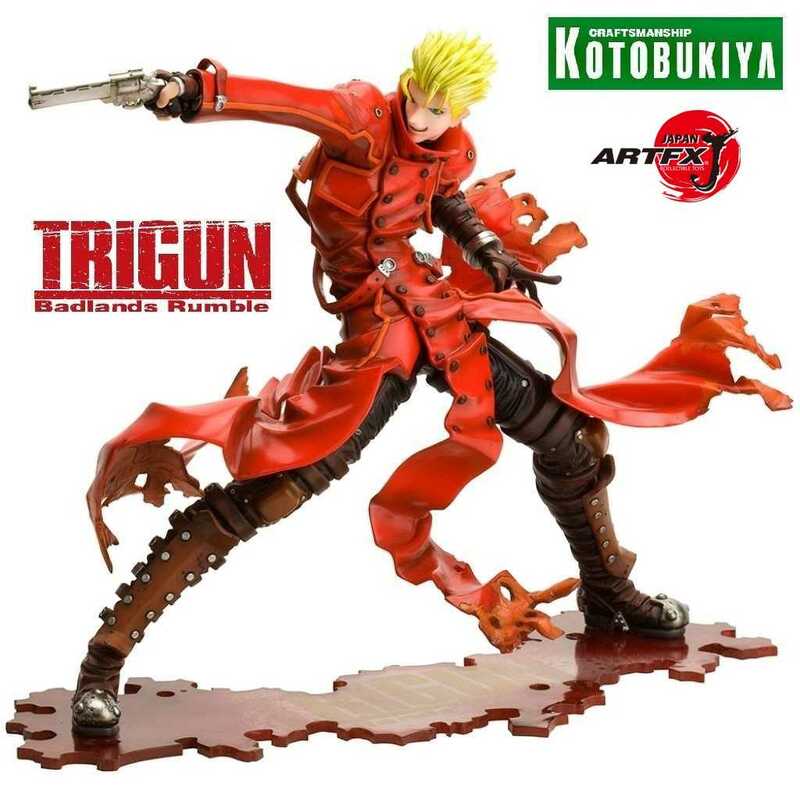 From the Kotobukiya ARTFX J range we present Vash The Stampede, the Humanoid Typhoon and main character from the hit feature film Trigun, Badlands Rumble. 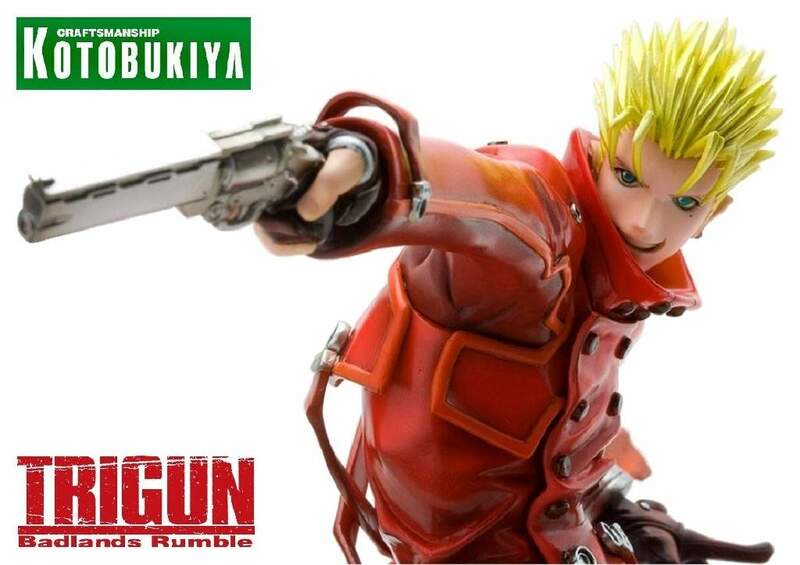 Now's your chance to own Vash as he reappears in the renewal package. 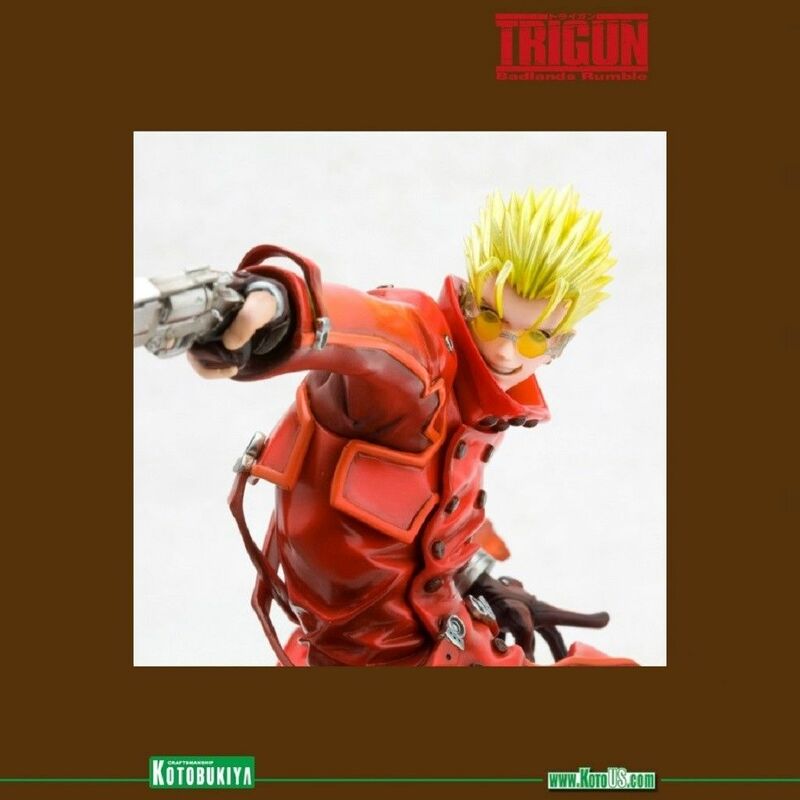 The pacifist gunman stands nearly 7.5" tall in 1:8 scale and his powerful presentation features a sculpt produced from start to finish by Tatsuya Hattori under the supervision of Yasuhiro Nightow, the creator of Trigun and Vash stands with legs spread wide and turned sideways as he aims his iconic revolver. 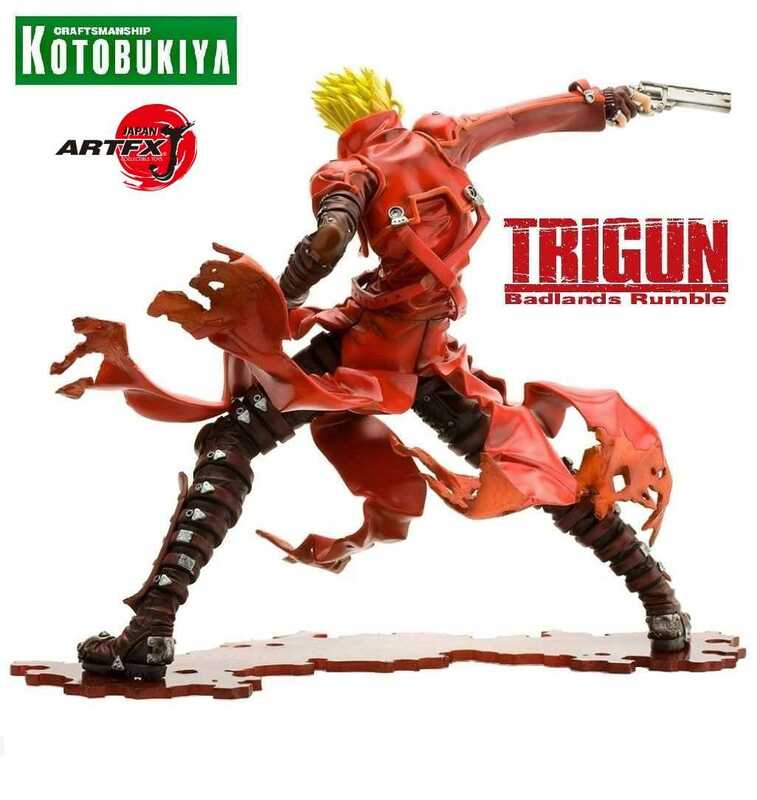 Matching his look from the anime with intricate studded pants and huge flowing red trench coat, this sculpted statue has incredible detailing and bright, bold painting to bring Vash to life like never before, plus you can display him with or without his removable glasses! Included is the Black Cat Kuroneko-Sama as an additional bonus plus display base. 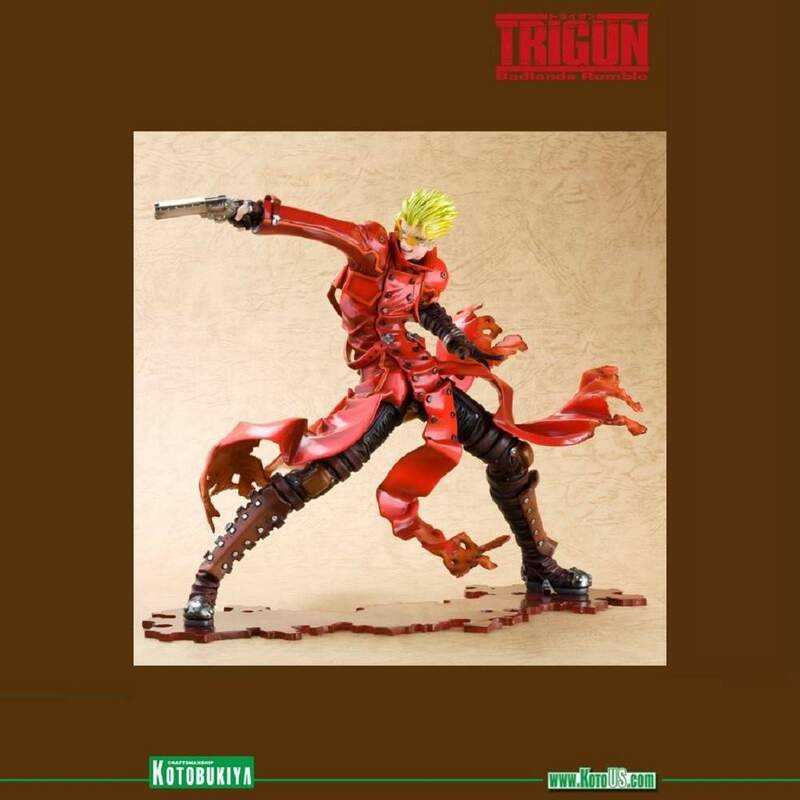 The Nicholas D. Wolfwood ARTFX J statue is also available and sold seperatley and can be placed side by side with companion Vash.